A line of clamp-on shaft collars with mounting holes that can be supplied with plain or custom flanges featuring different mounting hole patterns is being offered by Stafford Manufacturing Corp. of Wilmington, MA. Stafford Flanged One-Piece Mounting Collars let users attach all types of components such as gears, pulleys, and sprockets without welding and have a smooth bore and clamping feature that won’t mar shafts. 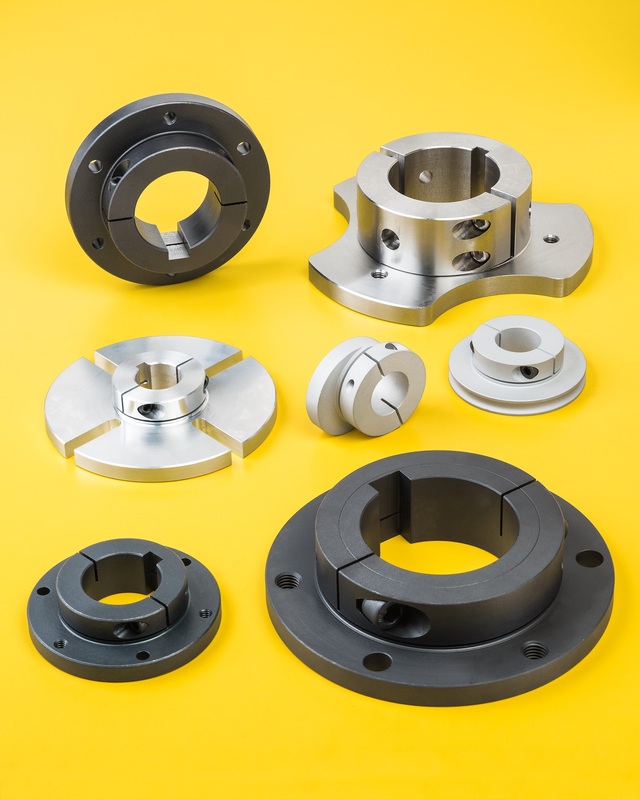 Providing enhanced mounting options, they can be supplied with plain flanges for machining by the user or finished with various custom mounting hole and slot patterns. Incorporating a keyway and the Accu-Clamp™ non-marring design, Stafford Flanged One-Piece Mounting Collars hold flatness and perpendicularity to < 0.001 TIR. Available in aluminum, black-oxide steel, and stainless steel, bore sizes can range from 1/2” to 6” I.D., flange sizes to 10” O.D. ; with custom widths for heavy-duty applications. Stafford Flanged One-Piece Mounting Collars are priced according to config-uration and quantity. Price quotations are available upon request.